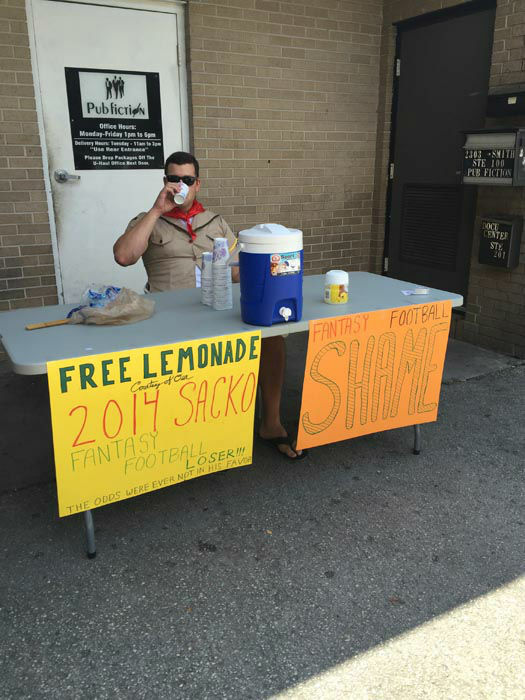 HOUSTON (KTRK) -- Each year, fantasy footballers across Houston come up with unique ways to punish their league's last-place finisher. 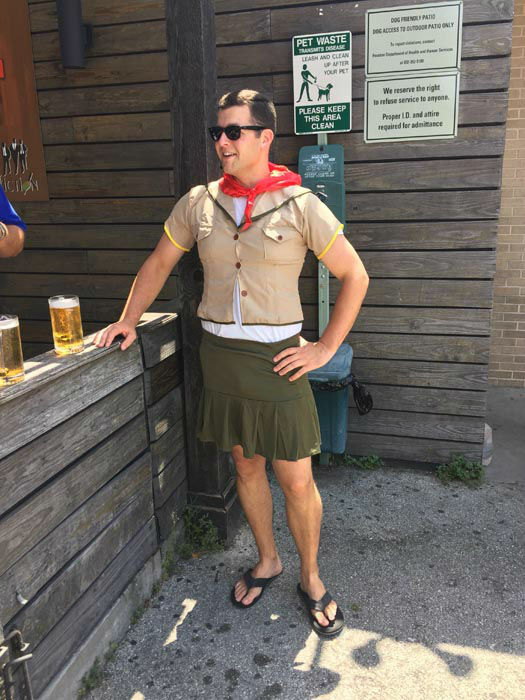 Saturday afternoon, we spotted one league's last-place finisher fulfilling his punishment outside of a popular bar in Midtown. 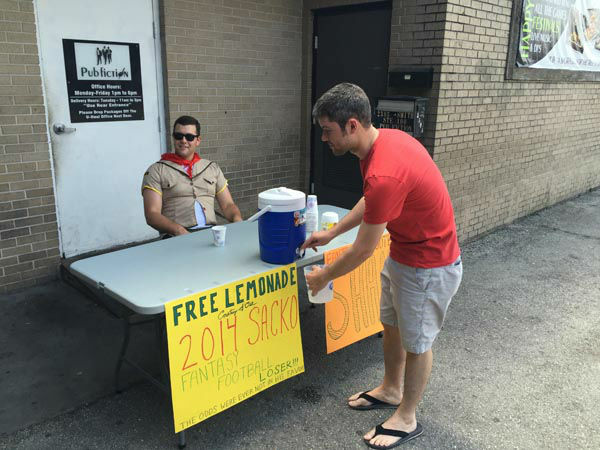 "I'm giving away free lemonade to these customers as my punishment for coming in last," David B. told a member of Eyewitness News who spotted his unusual lemonade stand. 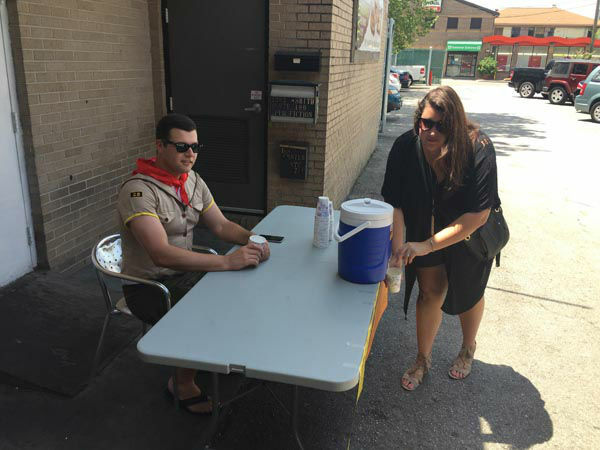 You see, not only was he forced to give out lemonade on one of the hottest days of the year for free (a move we think is quite generous), he had to do it all while wearing a girl scout's uniform. 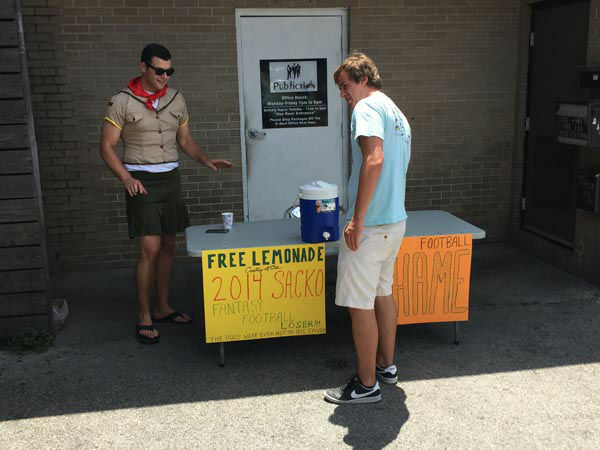 The stand caught enough attention on its own, but other members of the fantasy league were all too eager to help make sure others walking by noticed his lemonade stand. 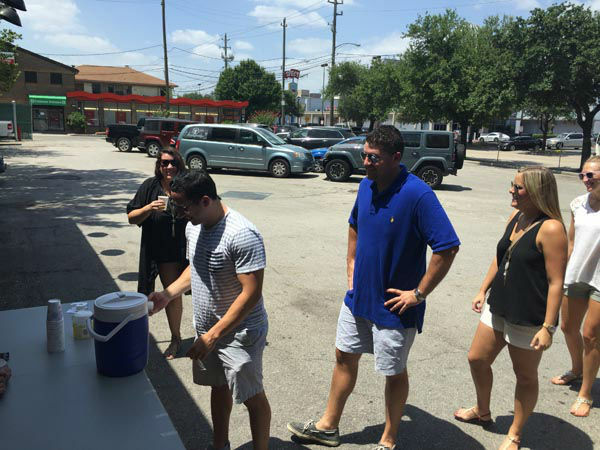 "Lemonade has never tasted sweeter," said David Fisher, the league's undefeated champion. "Can't wait for the 2015 season, Let's go Texans!" 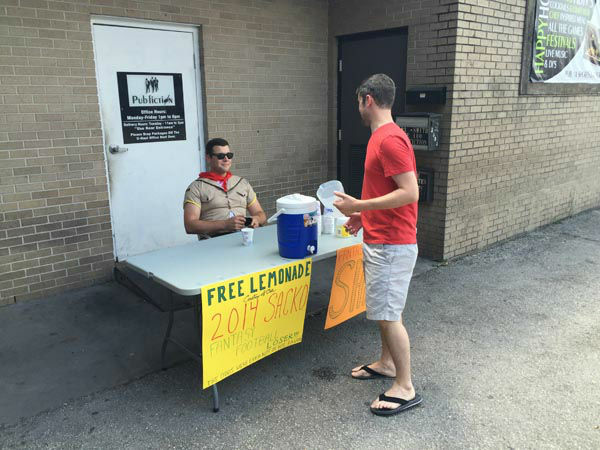 David B. was only forced to sell lemonade for an hour, which is probably a good thing as it was already nearing 95 degrees outside. 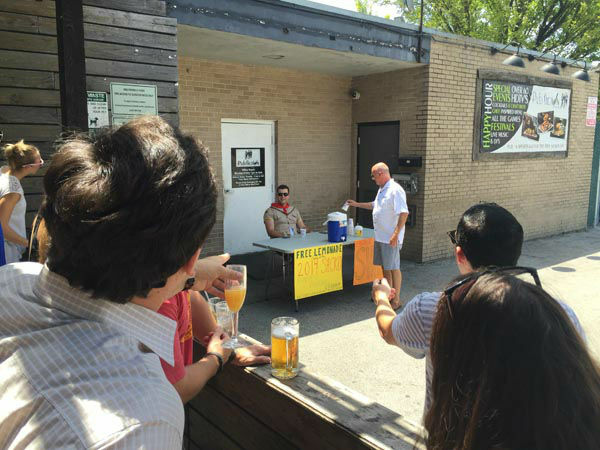 Last year, this particular fantasy league forced a member to dress in a pirate costume and kayak down Buffalo Bayou during Free Press Summer Fest. 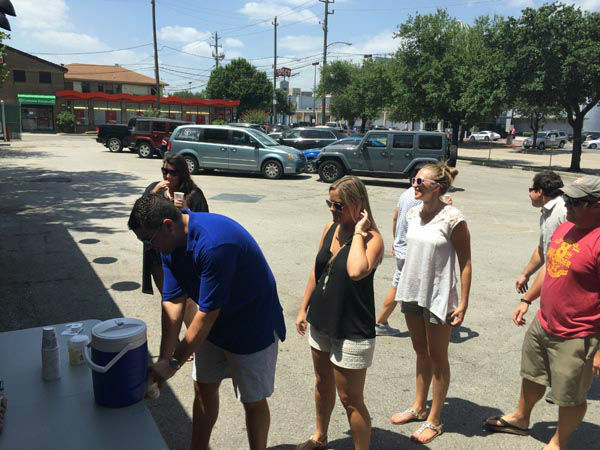 We think David B. might have gotten it off easy. 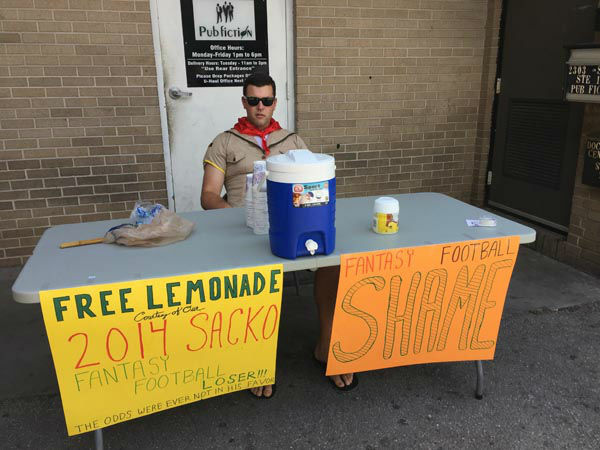 Love to play fantasy football? Sign up for free now over at ESPN.com.